Brand USA – with Lufthansa Airlines – held its first multi-itinerary U.S. familiarization trip, or MegaFam, for travel agents from Germany, Austria and Switzerland in May 2014. Eighty leading agents participated. The MegaFam allowed the agents to split into eight groups and travel along separate itineraries for each group. 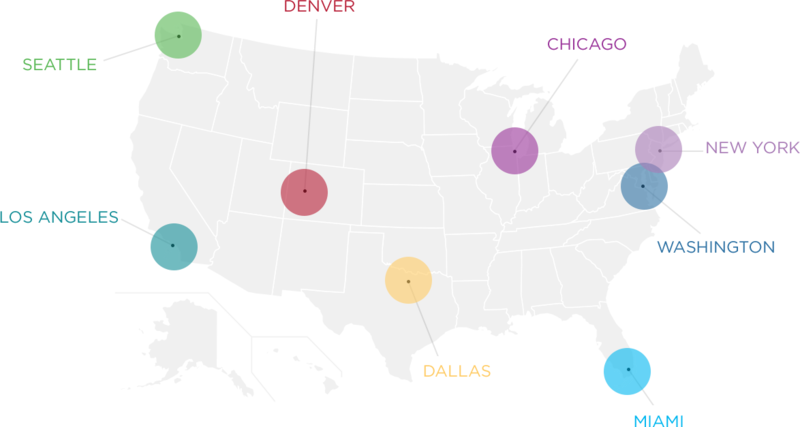 Destinations included the cities and surrounding regions of New York, Washington D.C., Miami, Chicago, Dallas, Denver, Los Angeles and Seattle. Agents qualified for the MegaFam by completing a Lufthansa-USA training module.